India's grand strategy has evolved significantly since independence more than 70 years ago, but the country has had mixed success in achieving its objectives. The rise of China and a dangerous impasse with Pakistan pose new challenges to New Delhi and are pushing a reluctant India into a closer partnership with the United States. Despite key successes, India's economic problems are huge, and they remain the biggest barrier to rising to great power status. Look up at the departures screens at any major Indian airport and you are likely to see a familiar pattern: Dubai and Abu Dhabi appear repeatedly on the flickering displays. Roughlyone in three international passengers in India are either heading to or arriving from the United Arab Emirates. Yachts dock at the Dubai Marina in Dubai, UAE. Dec. 11, 2017. Many Indian passengers use Dubai, Abu Dhabi or, increasingly, Sharjah as hub airports, connecting in the UAE to flights bound for Europe, North America, or elsewhere in Asia. Now that the UAE has become India’s gateway to the world, the two countries are also developing a strategic alliance that could reshape geopolitics across South Asia and the Middle East. To answer this question, we must first see what the concept of “strategic alliance” is. According to some definitions, those people or countries are called strategic allies, who have commonalities in one of several financial, political, military and cultural fields and are willing to take advantage of each other’s potentialities and achievements in these fields and benefit each other. The key point in a strategic alliance is that while benefitting by that alliance, the two sides must have mutual confidence in each other. It is also assumed that they should not be affected by pressures and suggestions from other parties and should take no steps against their strategic ally. Joint Chiefs chairman Joseph Dunford says that he sees signs of progress in Afghan war. But where? This time, they think they have it right. After five days criss-crossing Afghanistan, meeting with everyone from the Afghan president to the new American trainers on the ground, Marine Gen. Joseph DunfordJr. headed home Friday with a palpable sense of optimism. How Much Have the Chinese Actually Taken? President Trump plans to announce at least $50 billion worth of tariffs and other penalties on China for its theft of intellectual property (IP), technology, and trade secrets. The administration says this theft has cost the U.S. economy billions of dollars in revenue and thousands of jobs. These assertions of loss are correct. Until recently, the United States probably lost between $20 billion and $30 billion annually from Chinese cyber espionage. This does not count the losses from traditional espionage (e.g., using agents). The cumulative cost may reach $600 billion, since this kind of espionage has been going on for more than two decades. Any estimate has to take into account that some stolen IP cannot be turned into products, making the loss in these instances zero. In other cases, however, the victim company suffers revenue losses for years to come. Chinese companies are getting an illegal “subsidy”; they can spend less on R&D, since they can access U.S. research. The range of Chinese economic espionage, from simple household goods like wooden furniture and house paint to the most advanced high-tech products, is part of the explanation for China’s rapid growth. In the wake of the 13th National People's Congress of China, President Xi Jinping and Vice President Wang Qishan will have the option to stay in office for life. Xi's steady consolidation of power marks a return to one-man rule in Chinese politics. Though the current president arguably commands more authority than almost any other leader in the history of the People's Republic of China, his chief objective is the same as that of his predecessors: to preserve the power of the Chinese Communist Party. Can the Chinese Communist Party Learn from Chinese Emperors? In 1912, at the age of 19, Mao Zedong’s high school teacher gave him a book that became his lifelong favorite. He read it during the Long March, in his cave house in Yanan, and during his train rides across China. A copy of the book could always be found on his bedside table so he could read it before sleep. He told people that he had read it seventeen times, and he frequently referred to the book during conversations with Party officials. The book is Comprehensive Mirror in Aid of Governance, which was edited by Sima Guang, an intellectual and politician in the Northern Song dynasty, and published in 1084. It is a 294-volume, three-million-word chronological narrative of China’s history from 403 BCE to 959 CE. The emperor asked Sima to write this book to examine the lessons learned from previous emperors, so that future emperors could learn from them, avoid their mistakes, and become better rulers. 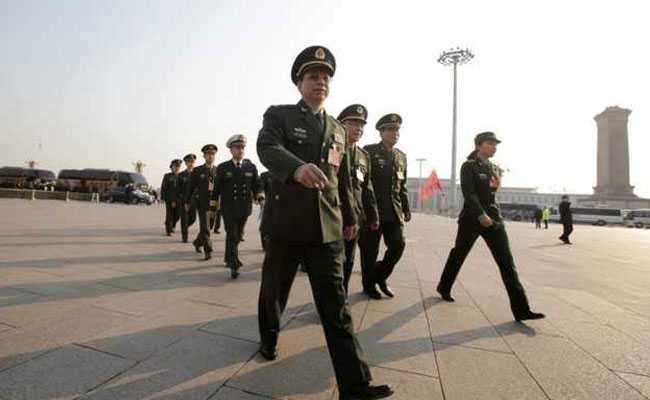 The 1.5 million-strong paramilitary police force previously was under a dual command structure.China has brought its frontier troops, including those guarding its border with India, directly under the military command removing civilian control over them, a state-run daily reported today.Communist Party of China (CPC), headed by President Xi Jinping, announced complete withdrawal of civilian-oriented frontier defence troops from the People's Armed Police (PAP) to enhance the ruling party's management of the country's armed forces, Global Times reported. BAGHDAD, Iraq — Not yet. The war isn’t over, yet. ISIS isn’t defeated, yet. The U.S. shouldn’t leave, yet. Fifteen years on, and Iraq still isn’t done, yet. But where are we? What’s left to do? And will anything be different this time around? “I honestly don’t know,” says Col. James Kaio. An officer in the New Zealand Army, Kaio is in charge of training Iraqi forces for the ISIS war, better known as Operation Inherent Resolve. But he was one of about a dozen senior U.S., Iraq, and coalition commanders here who gave a strong view of Iraq’s immediate security future, if perhaps less so of the country’s political future. Just when it looks like relations between Russia and the West have hit rock bottom, they manage to reach a new low. It's a pattern we've been tracking for the last decade as Russia's security services have grown more aggressive in their tactics. And sure enough, tensions have flared once again following the attack on Col. Sergei Skripal, a former Russian military intelligence officer who, along with his daughter, was poisoned with a rare nerve agent in London on March 4. The British government has since announced that the nerve agent used in the attack was a novichok, Russian for "newcomer" - a substance Russia's chemical weapons program reportedly developed to bypass the restrictions of the Chemical Weapons Convention, which Moscow signed in 1993. The compound's use was likely meant as a calling card, a warning from the Russian government to current intelligence officers not to turn against the homeland as Skripal had. 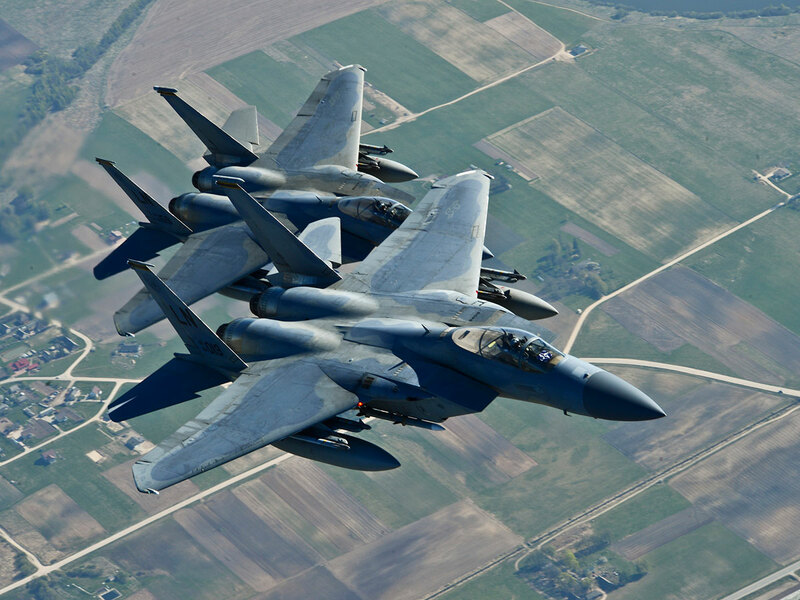 Philip Breedlove contends that while NATO has taken important steps in northern Europe to respond to Russia’s recent assertiveness, these efforts are insufficient without additional enablers. Indeed, he believes that the establishment of an integrated and robust air defense for the Baltic Sea region is the next logical step to increase defense and deterrence in the region. What’s more, he here outlines seven recommendations on what the Alliance and the Baltic states could do to help achieve this goal. Climate Conflicts: Myth or Reality? The specter of water wars has long loomed large in political and popular imaginations. With the end of the Cold War, fresh concerns emerged that future wars would be fought not over ideology but over natural resources. 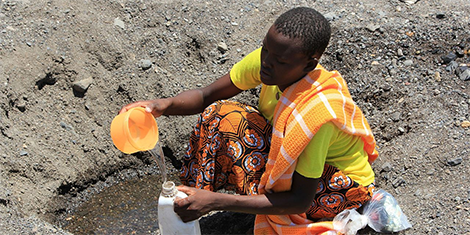 The alliteratively appealing phrase of “water wars” began rolling off the tongue as United Nations leaders and politicians made bold claims about the inevitable carnage that resource scarcity would bring. Climate change heightens these concerns as the gap widens between what science tells us is necessary and what politics tells us is feasible. Geopolitical competition has made a roaring come back in recent years. 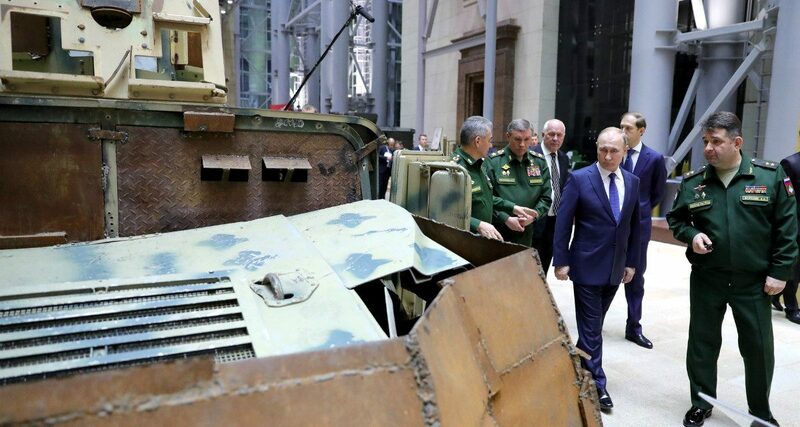 Russian President Vladimir Putin, always on the cutting edge of new fads, welcomed the new era with flair last week by introducing an entire new generation of nuclear weapons aimed at the United States. But despite Putin’s nostalgia for the bipolar arms race of the Cold War, U.S.-Russian rivalry is just one example of the new era of great power competition. 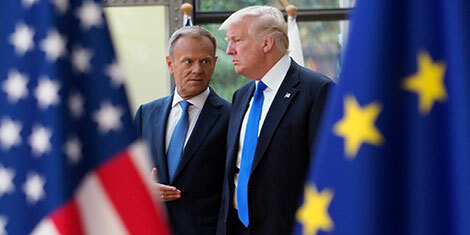 Indeed, the United States, under its mercurial president and a hawkish Republican administration, seems to be at odds with a growing array of powers. It wasn’t supposed to happen this way. After the Soviet Union’s collapse in 1991, democracy was supposed to be irresistible. While some of us were more skeptical than others, even cynics allowed that freedom seemed to have the upper hand. Instead, barely a quarter-century along, democracy and political freedoms are newly embattled, as one society after another defaults to reborn tyranny, striding behind religious extremism, xenophobic nationalism — or both. ‘The big data companies are opaque to consumers and regulators alike, so few people understand the risks and companies can often hide data breaches for a long time.’ The Observer reported on Saturday that Cambridge Analytica acquired 50m Facebook profiles from a researcher in 2014. This appears to have been among the most consequential data breaches in history, with an impact that may rival the breach of financial records from Equifax. There are many problematic aspects to this. 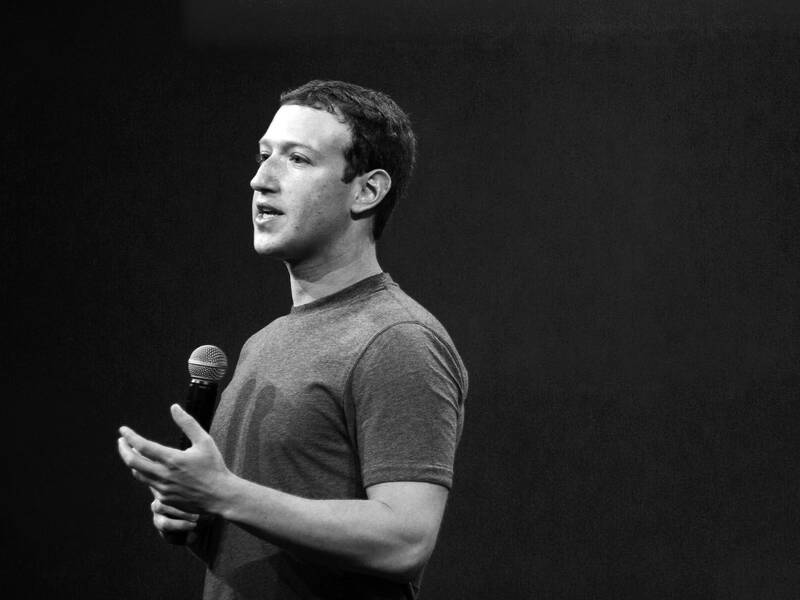 It appears the information was harvested by a researcher who collected data not only on the 270,000 or so users who Facebook said took his survey but also on their friends, who knew nothing about the survey, and then passed it to Cambridge Analytica in violation of Facebook’s terms of service. There are questions now over whether the data was destroyed. Air Force space technology and weapons developers are working quickly to prepare for major space war by accelerating new weapons programs and fast-tracking satellite protections or "hardening" systems. Part of this challenge not only involves defending laser attacks or "jamming" weapons in space, but also hinges upon reconciling the advantages of using smaller form factors for space assets with the increased radiation challenges they present. 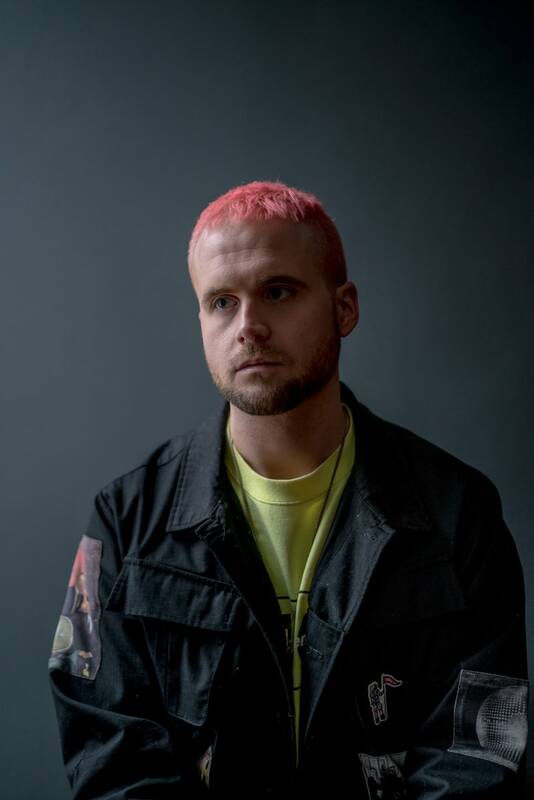 Christopher Wylie, formerly of Cambridge Analytica, has explained how the company used Facebook data to advance Donald Trump’s campaign.What are we to make of the revelations published over the weekend, in the Observer and the Times, that Cambridge Analytica, the data-analytics and messaging company financed, in part, by the conservative billionaire Robert Mercer, used tens of millions of ill-gotten Facebook profiles to create algorithms aimed at “breaking” American democracy? First, that these were not really revelations at all. Reporters from the Guardian, The New Yorker, The New York Review of Books, Das Magazin, and the Intercept have been reporting these facts for years. Over the past year, the United States has dusted off its international relations textbooks from the Cold War era and prioritized “revisionist powers” like the Russian Federation and China in terms of reshaping its military strategy and doctrine. The 2008 Russia-Georgia War, nearing its ten-year anniversary, is worth reexamining to understand how these “revisionist powers” will fight in the twenty-first century. Apparently, the age of the old-fashioned spook is in decline. What is emerging instead is an obscure world of mysterious boutique companies specializing in data analysis and online influence that contract with government agencies. As they say about hedge funds, if the general public has heard their names that’s probably not a good sign. 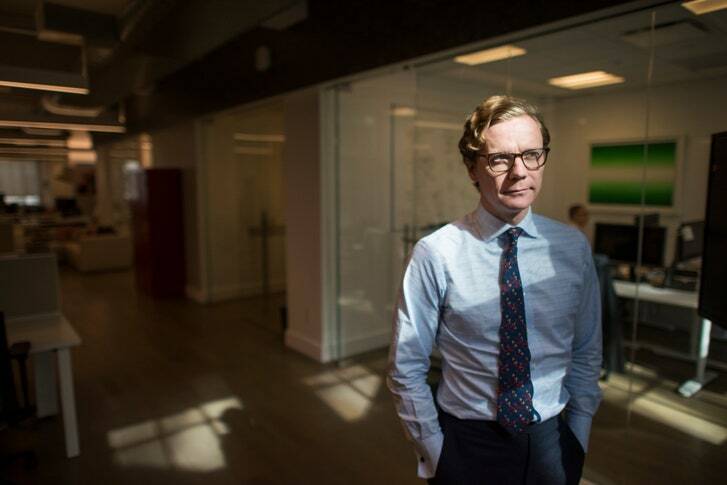 But there is now one data analysis company that anyone who pays attention to the US and UK press has heard of: Cambridge Analytica. Representatives have boasted that their list of past and current clients includes the British Ministry of Defense, the US Department of Defense, the US Department of State, the CIA, the Defense Intelligence Agency, and NATO. Nevertheless, they became recognized for just one influence campaign: the one that helped Donald Trump get elected president of the United States. The kind of help the company offered has since been the subject of much unwelcome legal and journalistic scrutiny.